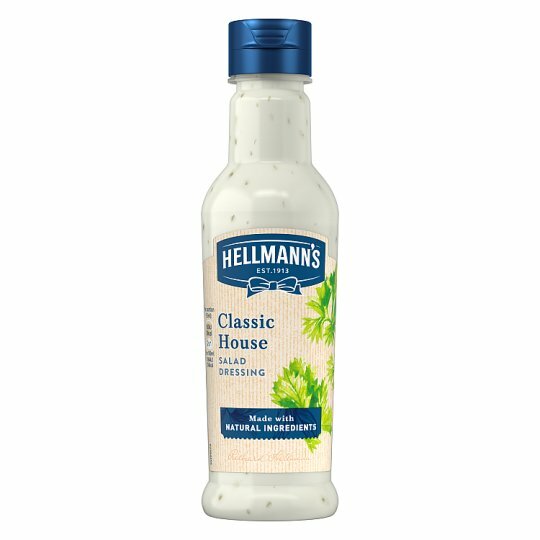 Enjoy the delicious taste of new Hellmann’s Classic House salad dressing. Crafted using a combination of free range egg yolk, chives and cider vinegar. Hellmann’s Classic House salad dressing is the perfect accompaniment for your Garden Salad. Our delicious Classic House dressing is made with natural ingredients, is Gluten free and is suitable for vegetarians. Making it the ultimate dressing for your salads this summer! Keep a bottle of Hellmann’s Classic House dressing on hand to transform your everyday salads from simple to spectacular. Or make our dressing the statement piece of your salads at BBQ’s or Family dinners. If you love our Classic House dressing, why not try our full range of salad dressings including classic favourites, with a twist, such as, Honey and Mustard, Thousand Island and Caesar with Smoked Garlic. Plus, new for 2018, our exiting Coconut and Lime and Sesame and Soy dressings. For a lighter salad why not try our Fat Free Dressing. Head to our website www.Hellmanns.co.uk for exciting recipe inspiration across our salad dressing range. You can also take a look at our broad Hellmann’s product range, where you can find tasty new products and recipes ideas for BBQ’s, wraps, sandwiches and much more!